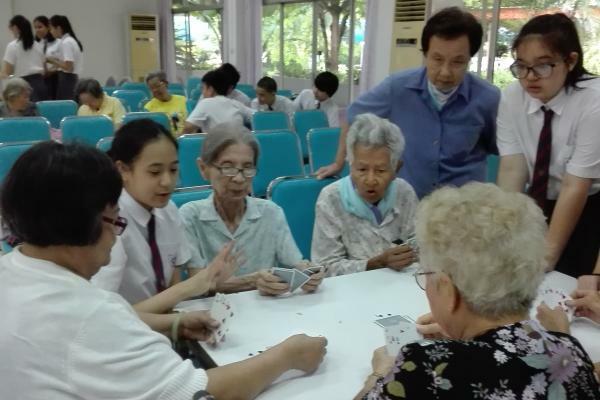 In the last few weeks, we have run two visits to Bang Khae elderly care home as part of the secondary school's community service programme, with Year 10 going on Friday 18th May. 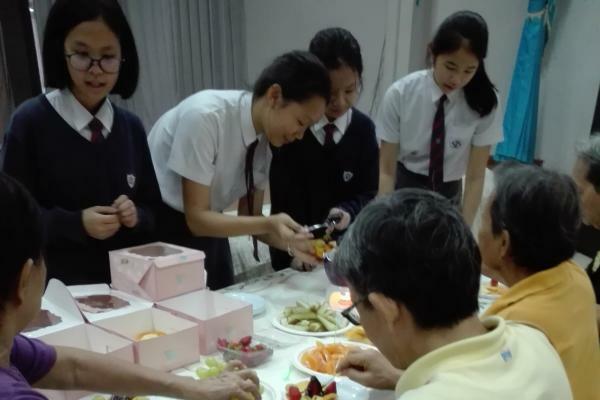 Year 9 and Year 10 have been preparing activities for the elderly in their PSHE lessons and they carried these out on their respective trips. 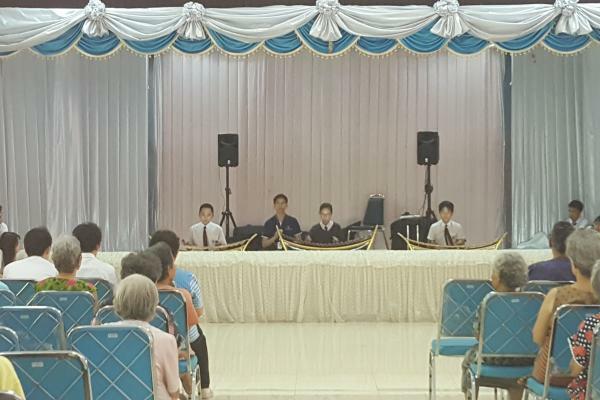 Some of our music students also accompanied the Year 10 visit and put on a wonderful Thai and Western performance. It was nice to see students take initiative and start conversations with the patients and help to rake the leaves in the gardens. 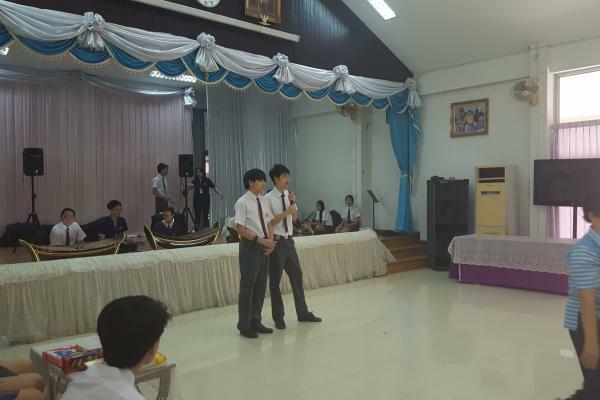 A special well done to Tor, Sairak and Team who were put on the spot to speak publicly to introduce us and thank the care home for welcoming us. They did an excellent job. In addition to this valuable service work, we made a donation of 20,000thb cash and another 10,000thb worth of adult diapers. This money was raised by student fundraising events such as the Bikeathon.